Image: Felix Wirth/Getty Images, Art-Design-Illustration/Getty Images. Design: Ashley Britton/SheKnows. Summer is in full swing, and the sunshine isn’t stopping anytime soon. As you make your way out to the beaches, the pools and the barbecues, you may be asking yourself, "Do I need to put on sunscreen for this?" Quick answer: Yes. But even with this sound dermatological advice under your belt, it’s likely you’re still forgetting to hit some of those nooks and crannies. Here are the parts of the body dermatologists are wishing you’d cover with sunscreen this summer. How could we forget something that we use to do everything? 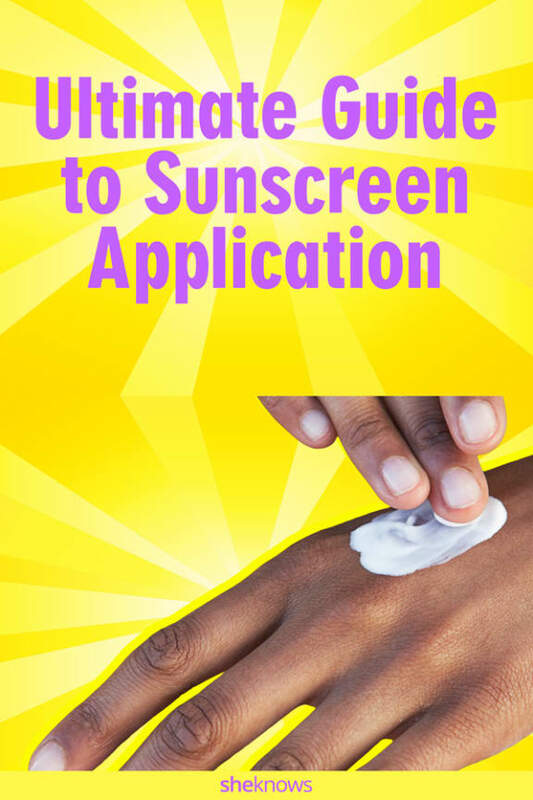 “People really neglect their hands when it comes to sunscreen, and unfortunately, the hands are a dead giveaway for your age,” Dr. Susan Weinkle, a board-certified dermatologist in Bradenton, Florida, tells SheKnows. She suggests applying a generous amount of sunscreen to the tops of the hands and fingers and reapplying after you’ve washed your hands. 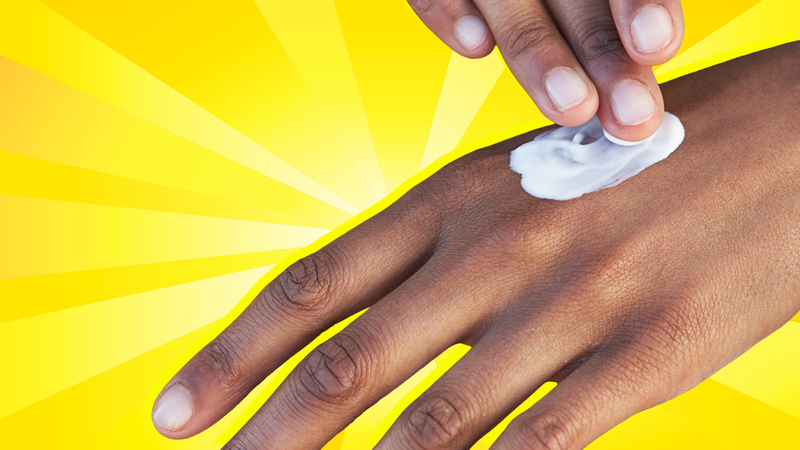 Unless you’re wearing gloves for the summer, your hands will definitely be getting some rays. And yes, this includes when you're in a car. So take the time to apply and reapply, and be sure to cover the areas around and beneath any rings or bracelets you may be wearing. Listen here! Covering your nose, cheeks and forehead with SPF isn’t enough. Think about it: the backs of your ears lose the entirety of their protection as soon as you throw your hair up in a ponytail. Similarly, our dermatologists agree that the rims of the ears unknowingly become exposed to UV rays throughout the day as well. “Women with short hair or those who like to wear a ball cap must understand that the rims of their ears are especially vulnerable,” Weinkle says, explaining that people sometimes believe that their ears are covered when they’re actually not. A good tip is to first apply sunscreen when your hair out of the way — like in a bun or ponytail — so that you’ll be covered throughout the rest of the day regardless of what you decide to do with your hair. The décolletage — which is a fancy word for your neck and chest area — is one of the areas most exposed to UV rays on your body. In other words, it is one of the first places that will age with sun damage. For this reason, it is essential to apply sunscreen along and beneath the neckline and straps of your shirts and bathing suit tops, which can adjust throughout the day and expose unprotected skin. Even if you wear a foundation that has SPF, it’s likely that you’re not blending it all the way down your neck. Be sure to give this area some extra sunscreen attention. More: Do You Really Need Different Sunscreens for Your Body & Face? Yes, this applies to everyone of every hair type, length and color. Because they’re so thin, your hairline and part line rarely get any love from your sunscreen routine. When applying sunscreen to your face, be sure to extend the coverage along the entirety of your hairline, from the front of your face to the back of your neck. When it comes to the scalp and part line, no one wants to put globs of greasy white sunscreen into their hair. Luckily, there are actually some pretty decent sunscreen sprays available to keep you protected without weighing your hair down. Try them out! So, now that you’re ready to cover every inch of your body with sunscreen, when do you know when enough is enough? Let’s make that a new summer goal. Finish those tubes!